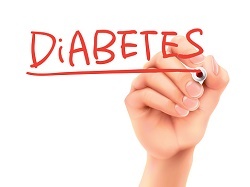 Living with diabetes can be challenging on many levels, and complex environmental, social, behavioural and emotional issues—known as psychosocial factors—influence the health of people living with the disease, as well as their ability to manage their diabetes. The American Diabetes Association (ADA) has long addressed the psychosocial components of living with diabetes in its yearly Standards of Medical Care in Diabetes, which covers all aspects of quality care for people with diabetes. The Association has now issued its first position statement that provides comprehensive and specific guidelines for psychosocial assessments and care based on factors including age, type of diabetes and family support system. The detailed recommendations are featured in ‘Psychosocial Care for People with Diabetes: A Position Statement of the American Diabetes Association’, published in Diabetes Care. The guidelines focus on the most common psychological factors affecting people with type 1 and type 2 diabetes, including diabetes distress, depression, and anxiety and eating disorders, and emphasise that diabetes management is more successful when lifestyle and emotional status are an integral component of diabetes care. The psychosocial care position statement is based on current diabetes research and recommendations from the field of mental health, and it combines the expertise of the article’s authors, from leading research institutions including the National Institutes of Health, Johns Hopkins Medical School and Stanford University, among others. Diabetes care providers are urged to assess the emotional health and life circumstances of a person with diabetes during an initial visit, and to conduct appropriate evaluations at regular intervals thereafter—even when a patient has not indicated any issues exist—in order to detect problems early. The position statement highlights extensive resources for psychosocial issues throughout the patient’s lifetime, including a list of screening tools, and urges providers to consider a patient’s individual needs, values and life stage when choosing screening tools and mental health referrals. Additionally, clinical providers are advised to refer patients to mental health providers who are knowledgeable about the issues faced by people with diabetes. The challenges of incorporating such a comprehensive standard of care into clinical settings are recognised in the statement, including limited access to diabetes services by patients at lower socioeconomic levels and a lack of mental health professionals who understand the issues that patients living with diabetes face. The American Diabetes Association is collaborating with the American Psychological Association (APA) on an initiative that includes an education programme to prepare psychologists to treat the mental health challenges faced by people living with diabetes, as well as a directory to assist with referrals. The first programs will launch at the Association’s annual Scientific Sessions, June 9-13, 2017, and APA’s 2017 Annual Convention, August 3-6, 2016.